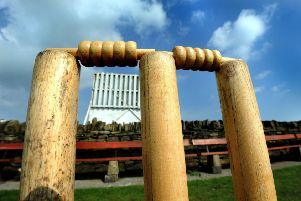 Blyth’s first home game of the season ended in a five-wicket defeat at the hands of early pace-setters Backworth. The visitors won the toss and put Blyth in to bat with Clark and Rowell opening the innings. The pair made a steady start before Clark went in the ninth over for 12. Smith and Rowell added 29 before Smith went for 18. Hudspith was next in, and he and Rowell added 35 as Hudspith went for 21. Then with the score on 97, opener Rowell finally went for a dogged 26. Skipper Lawrence was next in, but he was the only other batsman to reach double figures as six wickets went down for 35 runs, with the captain making 16. Pick of the Backworth bowling was Mark Minto with 4-26 and Scott Shannon with 3-35. Kemp and Singh opened the bowling, but the Backworth openers got off to a flying start before Lawrence came on to replace Singh, and after being hiot for a four and six, he had Robson stumped by Roberts for 24 with the score on 37. Duncan and Sutton pushed the sore on to 54 before Kemp took three wickets for just three runs. First sent Duncan went lbw for nine, followed by Pisani, caught and bowled for five, then Collins for nought. Clarke and Sutton moved the score towards the target, and although Lawrence caught and bowled Clarke for 23, Minto and Sutton saw the visitors home in the 29th over. Sutton remained 55 not out with nine fours with his 50 coming from 82 balls. Minto was seven not out. The pick of the Blyth bowlers was Kemp 3-45 and Lawrence 2-46. Next weekend Blyth first XI travel to Kirkley with a 1pm start.